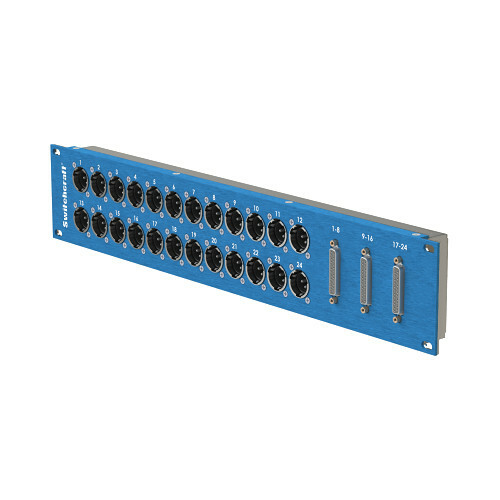 The 2 RU AP Series Pass-Through I/O Rackmount Panel from Switchcraft is an input/output module that features 24 male XLR input connectors and three DB25 output connectors on the front panel. The DB25 connectors are wired to the TASCAM DTRS pinout. It is hard-wired using a custom circuit board tested for 110 Ohms AES/EBU digital audio. This panel is 2" deep for a space-saving design. Box Dimensions (LxWxH) 22.2 x 7.8 x 6.4"